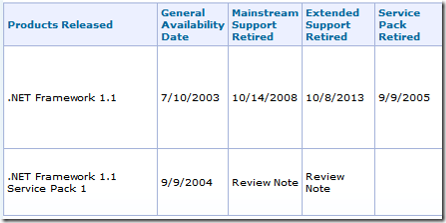 For more information on currently supported products, refer to the Microsoft Support Lifecycle Index. And it's sad to say those products I worked on back in the 1980's are now obsolete. MS-DOS went obsolete in 2001, and QuickBasic in 1999. Who knew? Back in the 80's I used to port the MS-DOS and QuickBasic drivers (okay it was actually GW-Basic) for Data General. Here is a list of more obsolete Microsoft products.